tea@Hart is a traditional tea room and tabletop gaming space. We specialise in high quality teas and infusions, home baked treats and locally sourced light meals, and board and card games. 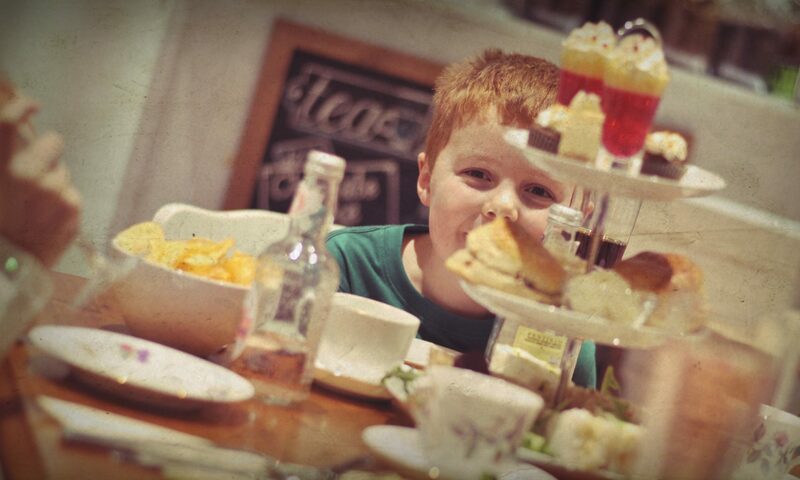 We offer themed afternoon teas, regular games nights, and bookable spaces. both with a 5* food hygiene rating. We have a wide selection, changing daily, and we always have freshly made gluten free and vegan options – avoiding palm oil where possible. We also source everything we can locally, and we’re proud to use bread from Parker’s Bakery and Mary Lambert’s Artisan Bakery, local meats from Blyth’s butchers, and Salmon from R. King Fishmongers. With the largest and finest selection of teas and infusions in Hartlepool, we’re the place for all Camellia lovers. There’s over 30 loose leaf teas and infusions to choose from, with a selection of black and green teas, rooibos, and naturally caffeine-free fruit and herbal infusions. Fairtrade barista coffees come from artisan roasters ‘Kingdom Coffee’. We sell local ales from Sonnet 43 and Durham Brewery, and soft drinks from Fentimans. Whether it’s traditional games like Monopoly and chess, modern classics like Catan and Carcasonne, or new favourites like Munchkin and Ticket to Ride – we have something for everyone! There’s over 200 games in our library that customers can use while eating and drinking – and we host gaming nights on Wednesdays, Fridays, Saturdays and Sundays. We regularly have themes nights and special tournaments – keep up to date on our Facebook events page. …so we have regular quizzes and themed afternoon teas around our favourite geekdom!